Does the mess in your home cause you stress? Do you waste valuable time looking for things that you already own? Does your home seem to get messy again right after you’ve cleaned? If the answer is yes, then this guide is for you. 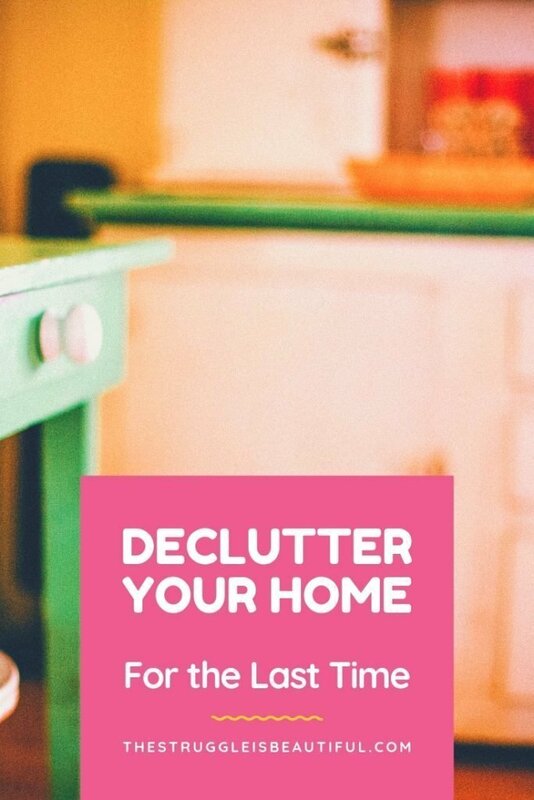 It tells step-by-step how I decluttered my home for the LAST time. You too can use this guide to declutter and organize your home for the last time. This is the number one thing you must do! Stop Bringing In More Clutter. If you need something, really consider it before purchasing. First, organize what you do have. Then, you may find that you don’t even need the new item. Not bringing in clutter is essential for making this be the last time that you declutter and organize your home. After you clean out your home, every time you purchase something, you must think about where you’re going to put it and if you really need it. A good rule of thumb is that for every item that comes in, one must go out. This will really make you think about things before purchasing. Pick a time with no distractions like a long weekend. It’s important to clear your schedule for this. A major home declutter is not a project that you should rush or squeeze in between other activities. Spending undistracted quality time working toward organizing and cleaning your house will earn you back double that time later in cleaning and looking for items. Plan your meals to minimize distractions. Crockpot and freezer meals will ensure that you’re not spending your cleaning time stuck in the kitchen. Focus on the mess nothing else. You will want to start with the most stressful place in your home first. Focus on the areas that cause you the most stress. If your garage is a huge mess, but you never go in there, don’t focus your energy there at first. Worry about the craziest areas first. If your kids can’t ever find their clothes and are constantly asking you for stuff, start there. If your husband can never find a clean towel, start there. Start with the place that will improve your quality of life the most when you declutter and organize it. Start at the most stressful, inconvenient places and work your way out from there. For me, this was our clothes. Once we got that in order, it was all downhill from there. Read this article, for help create a plan to declutter and organize your home. Decide ahead of time to get rid of stuff right away. People who have super-organized houses purge relentlessly when they declutter and organize. Don’t be scared to get rid of things that you don’t use. What you no longer use could be a blessing to someone else. However, don’t be reluctant to throw things away that are no longer valuable. If it’s stained, broken, or holy, throw it away. Don’t donate it. People also like to hang onto things that are valuable even if they don’t use them anymore. Don’t be afraid to try to sell these things. We sold A LOT of this stuff in our last clean out, and I will not wait that long to try to sell these big-ticket items again. A lot of gaming stores buy old electronics, and pawn shops will purchase just about anything. Important Note: Donate, trash, or sell these items right away. Do not leave them in boxes or bags laying around your house, or worse, your car. Do Not Wait! I call this area the Danger Zone because that’s what’s it’s going to look like when you’re done. This is where you will leave all the items that you don’t want to get rid of, but don’t have a place right now. You will come back to this room at the end, and, hopefully, there will be a place for all the items, or you will have decided to get rid of them. Make the Danger Zone a high traffic area of the house. By the time you’re finished, you will not want to go back and do this part. If it had been in a part of the house that I could have ignored, there’s no way I would have done it immediately. I made my kitchen my Danger Zone. Since that’s the heart and soul of our house, I couldn’t leave it. I had to finish it all at once, and that is huge. Keep in mind. Once it’s all over and your house is calm and peaceful, the mess and stress will be all worth it. Remember: Don’t be scared to throw stuff away. Doing this, I found lots of hidden gems in my closet that I’d forgotten about and tossed lots of clothes that I wore often but hated. I rotate the same clothes more often now but love everything I wear. Important: Do not make things pretty or decorate at all this weekend. Just create basic systems to access your stuff easily. The place needs to be more accessible if the item is used every day. Coffee cups used every more need to be easier to get to than your cookie cutters. Do not spend this time “prettifying” your new systems. This weekend the focus is on creating systems that work. We’re worried about functionality, not appearance. Room by Room, go through your home, declutter and organize every nook and cranny, find a place for everything, and create new organizing systems. When you get to the Danger Zone treat it like any other room. Go through everything. Be relentless getting rid of stuff but remember not to throw away something that someone in your house still uses. Minimalism is not wasteful. 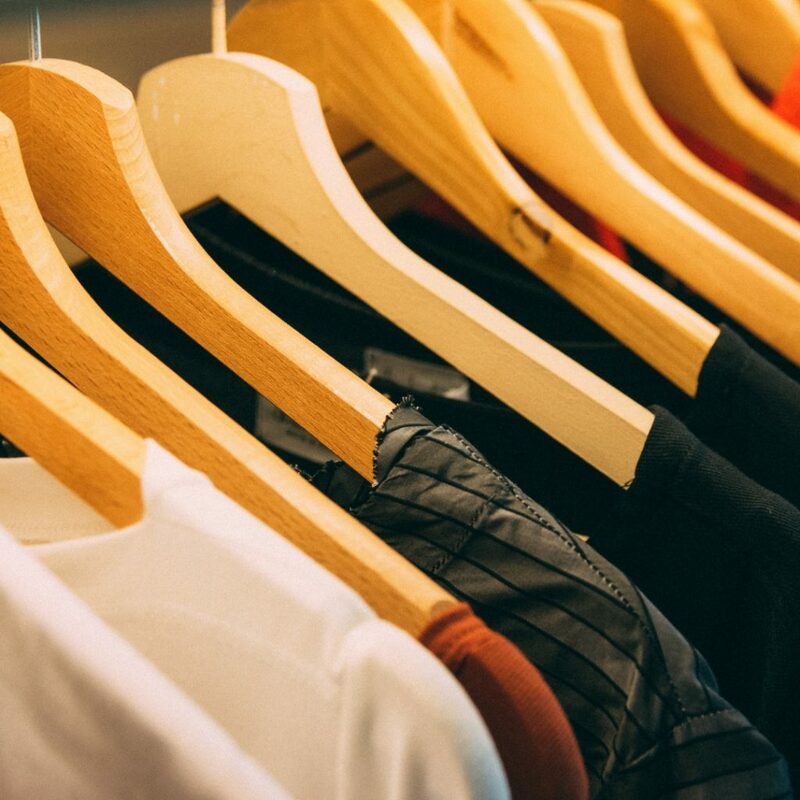 After your done, make sure to drop the items off at the thrift store, take them to sell, or throw them away. Do not leave them in your home for even one more day. I know how much your new organized home is going to simplify your routine. Let me know how the process is going in the comments! Don’t forget to read about The Worst Decluttering Mistakes that Sabotage Your Cleaning Efforts.